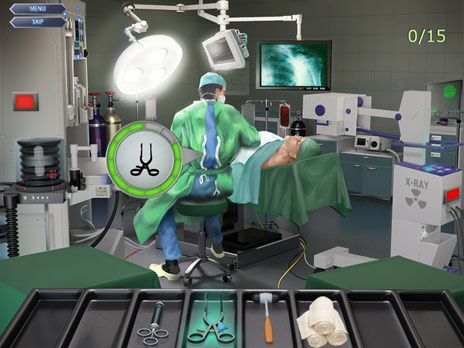 Dr Wise - Medical Mysteries Game is one of more than 300 free games you can download at Free Ride Games. Dr Wise - Medical Mysteries Game is a highly addictive Hidden Objects game, download Dr Wise - Medical Mysteries Game, play it free and enjoy! Dr Wise - Medical Mysteries Game is one of more than 300 free Games you can download & find at Free Ride Games. When ordinary people succumb to mysterious illnesses, there\'s only one doctor brilliant enough to figure out what\'s wrong. That wily physician, Dr. Wise who, despite his terrible bedside manner and lack of social finesse, thrives on solving inexplicable ailments. Play Dr Wise - Medical Mysteries Game for free and enjoy your time. Relax playing the antique-style jigsaw puzzle game. Choose out of four shape styles, add a plain frame around the picture, turn on the pieces rotation. The jigsaw collection includes 100+ puzzles made of beautiful paintings.